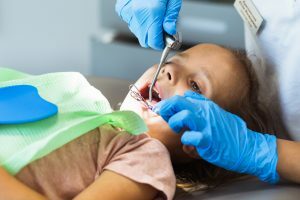 Children are more prone to cavities than adults because of poor diet and improper dental hygiene habits. Unfortunately, once decay is found on a tooth, it has to be removed and replaced with a filling. In order to prevent extensive work from being done, we here at Ascent Dental Group recommend dental sealants. Dental sealants are done with the use of a clear protective liquid that is brushed over a tooth’s surface. The liquid is then cured and hardened with a specialty light and the sealant will last for anywhere from one to three years. Sealants act as a protective barrier and prevents decay from getting underneath and infiltrating the tooth. It is a wonderful option for cavity prevention and is noninvasive since no anesthesia is required. If you would like to inquire about any of our Pediatric Services, please call our office and one of our helpful staff members will be happy to assist you.